Take the fear factor out of science lessons. 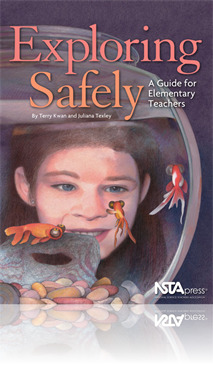 This easy-to-digest book relieves many of the safety worries that come with teaching science in elementary school. The emphasis is on positive options for heading off potential hazards, from handling special equipment to conducting field studies. A special added ingredient: model forms that can be adapted for your needs, including permission slips and student contracts. Best of all, a wealth of anecdotes about what works—and what doesn't—in real-life classrooms makes Exploring Safely enjoyable to read as well as to reference.